Stoke aren’t any world beaters and last season Newcastle destroyed them home and away, making them look a very average team, which in reality is what they indeed are. However….the reality Newcastle face at the moment is that they are a team missing a few key players and playing without self-belief after an average start to the season, which has turned into something worse in the last few matches. Maybe not the best time to have to travel to the Britannia. Stoke are currently on a thirteen match unbeaten run at home, with six wins and seven draws. They might not be pretty but this season they have conceded only one goal at the Britannia which was against Manchester City. Overall they have only scored eleven goals in the Premier League and conceded the same number, while Newcastle have outscored them by two (13) while conceding 19. 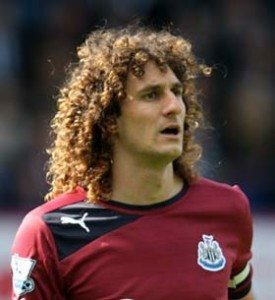 While it isn’t ideal to have lost Steven Taylor just as Fabricio Coloccini is available again, if only United could conjure up the first goal from somewhere then there’s no reason why you couldn’t expect a decent chance of keeping the home side out, especially with Cheick Tiote in front of the back four. That first goal is becoming ever elusive and as for starting off matches well, Newcastle have only managed four first half goals in thirteen matches. Stoke have scored more than one goal on only three occasions this season and even then they only scored two each time. Looking at this more and more I can only see the first goal being of paramount importance but can Newcastle get it? The Southampton performance was easily the worst so far of the season and if Alan Pardew hasn’t been able to change their mindset in these last couple of days then it is hard to see a different result. Defender Andy Wilkinson is expected to miss through injury, while at least we should be spared a gloating Micahel Owen watching from the bench, as he is just returning from injury. On the other hand Newcastle United will be missing Cabaye, Ben Arfa and Steven Taylor, as well as a host of fringe players unavailable. Apart from Coloccini for Taylor, the manager is likely to have the same squad to shuffle with and once you list the obvious players then with the rest you could almost pick them at random because they are much of a muchness at the moment. You would assume that the likes of Krul, Simpson, Williamson, Coloccini, Santon, Tiote, Jonas, Cisse and Ba are certain to start, barring any other nasty surprises in terms of injuries. However, you then have Anita, Marveaux, Tavernier, Ferguson, Sammy Ameobi, Bigirimana, Ranger and Perch as your other outfield players. No doubt plenty of people would pick Perch in midfield to help make us more solid but then that takes away any creativity from the middle of midfield at all, though many would question what creativity there is available from any of the midfield options, including Anita. I struggle to suggest a definitive choice as to who should fill the last 2 or 3 places in the team and that sums up the weakness of our squad. As always though, the eleven players out there tonight will have our full support, let’s hope they give us something to shout about, or at least to be proud of.